Azerbaijan has strategic value for both Iran and Israel. How will Baku respond to being stuck in the middle? Religious, cultural, and historical links notwithstanding, the Republic of Azerbaijan has had a difficult relationship with neighboring Iran ever since its independence in 1991. But tensions have reached new heights in the last couple of year years. This was no clearer than it was on August 9 this year, when Gen. Hassan Firouzabadi, chief of Iran’s armed forces’ Joint Staff Command, warned Azerbaijan President Ilham Aliyev that he would face “a dark fate” should he continue to expand ties with Israel. The statement prompted the Azerbaijani Foreign Ministry to deliver an official protest to the Iranian Embassy in Baku, as well as to arrest three members of the banned Islamic Party of Azerbaijan, which Baku claims is funded by Tehran. Last month, meanwhile, Baku accused Iran of being behind the stabbing of Azeri writer and journalist Rafiq Tagi. And last week, the director of the Islamic Republic of Iran Broadcasting office in the Azeri capital, Ahmad Kazemi, was denied entry into Baku, and was forced to leave Azerbaijan the same day. Tehran has for its part accused Baku of fomenting divisions within its large Azeri population, which is estimated to number between 20 to 25 million, with the majority residing in northwestern Iran. On August 13, Tabnak, an Iranian news website, revealed what it called an “Azerbaijani plot” to foster ethnic conflict in Iran’s northwestern provinces, including the dissemination of anti-Iranian programs by Azerbaijani TV and radio stations. Equally alarming for the authorities in Iran is the decision by the Aliyev government to include several Iranian provinces, including Ardabil, Qazvin and Hamedan, as parts of a “Greater Azerbaijan Republic” in school textbooks. Compounding Iranian fears is Israel’s key role in Azerbaijan’s energy and defense sectors. Iran is deeply concerned over growing Israeli and Western investments in the Azerbaijani energy sector, seeing such developments as a major threat to its own economic interests. Unable to compete with and/or attract Israeli and Western technology and capital for tapping abundant Caspian natural resources, Iran has resorted to a policy of intimidation in order to discourage foreign investment in the Azerbaijan offshore sector. Tehran’s efforts in this are greatly enhanced by the fact that maritime disputes between the five littoral states of the Caspian Sea remain unresolved, allowing Iranian gunboats to make several incursions into what the Azerbaijani government considers as its territorial waters. This comes at a time when Tehran is nervously watching the expanding military and intelligence cooperation in the region. Surrounded by U.S. troops in the south, east, and west, Iranian officials tend to perceive the deepening military ties between Jerusalem and Baku as the latest element in a Western plan to completely encircle Tehran. Ultimately, Iran views Israel’s effort to develop a military industrial complex in Azerbaijan as a long-term plan to open up a new front for a possible military attack on Iran's nuclear facilities should the need arise. The problem for Baku is that, strategically speaking, it’s impossible for Azerbaijan to forgo its ties with one of these countries in favor of the other. The recent Turkish-Armenian rapprochement, as well as the Azeri elites’ concern over the perceived “Islamization” push by Ankara, are of particular concern for Baku, and it’s these two developments more than anything that have added extra value to Azeri-Israeli relations. This was underscored in a January 2009 diplomatic cable from the U.S. Embassy in Azerbaijan, which said that President Aliyev was uncomfortable with the pro-Islamic and pro-Palestinian stance of Turkish Prime Minster Recep Tayyip Erdogan’s government. But Iran is no ordinary country for Azerbaijani strategists. The two states share a 600 kilometer land border, while an estimated 85 percent of Azerbaijan’s population is Shiite. These two realities allow Iran the potential to cause real trouble for authorities in Azerbaijan and provide it considerable opportunities to destabilize the country. Certainly, there have been reports that Iran has an active religious network operating in Azerbaijan that it could utilize to undermine the Aliyev government. Azerbaijan is fully aware of Tehran’s capacity for mischief making and so has refrained from crossing Tehran’s “red lines,” including by deciding against opening an embassy in Jerusalem. But this is unlikely to be enough to prevent ties between the two countries entering a period of even more heightened tension, not least because the Tehran-Tel Aviv rivalry for influence over Azerbaijan is intensifying by the day. Iran and Israel have been playing a cat-and-mouse game in Azerbaijan for more than a decade, one that utilizes the businesses, diplomats, citizens and spies both countries have in Azerbaijan. With growing regional uncertainty, there’s now an extra incentive for both Tehran and Jerusalem to continue building on their already well-established networks in Baku. 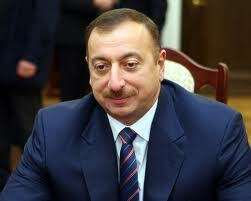 How the Aliyev government – stuck in the middle – will respond, remains to be seen. Nima Khorrami Assl is a security analyst at Transnational Crisis Project, London. His work has appeared in The Guardian and Foreign Policy Journal, among other publications.